The first time I went to France was 5 years ago. I was in my early twenties, just graduated from my B.A., itching to see the world, and I knew nothing (I mean zilch) about good food or good wine. Most of the meals my best friend and I ate on our adventure were cheap, uninspired, and we rarely strayed from familiar dishes like Steak Frites or Crepes. I was way more excited about cheap wine, cute French boys, and seeing famous masterpieces than I was about Michelin stars or Bordeaux vintages. But, funnily enough, some of the food moments that I experienced the first time I went to France are why I started writing about food in the first place. One singular crepe was a game changer for me, and though not even typically French (it had peanut butter on it for god sakes), opened my eyes to world cuisine and sparked an interest in food like nothing has since. Experiencing culture is best done by eating. The meals I ate on my first trip to France are still with me. The hole-in-the-wall crepe place in a sketchy neighbourhood near our cheap hostel in the 20th arrondissement, the particularly large and delicious baguette hot dog I devoured outside Notre Dame (it still haunts my dreams, I will find that stall the next time I’m in Paris), the cotton candy I ate underneath the Eiffel Tower, or even the hungover McDonald’s along the Champ d’Élysées are all food moments that helped me learn about France, about food, about life, and taught me some valuable things. 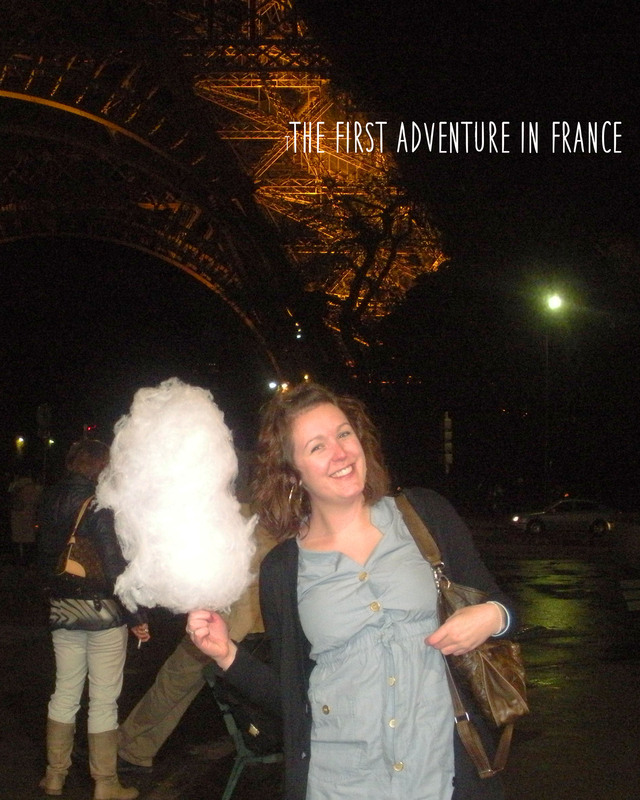 Since the first time I went to France, I have travelled to over 10 different countries, worked in a three really great restaurants (where I have learned an immeasurable amount about good food and good wine), and have eaten about a thousand meals in various spots all over the world. Let’s just say my palette is definitely broader. I have some many travel stories, so many food moments that have shifted who I am and how I see the world that I want to share that with everyone. But, because of general life changing and growing pains, in the past year and half writing this blog, I have yet to leave Canada! The reason I started The Food Girl in Town was to talk about my food adventures and my travels, and though I have loved all the local adventures I have had in Halifax and in St. John’s, I have always wanted to write more. And now, I finally get the chance! Adam and I leave for a 3-week European adventure in just a few short days, and I couldn’t be more excited. Germany, Italy, and France won’t know what hit them! I am pumped to finally document all my food memories and tell you all about the great experiences I have while we eat our way through Europe. Stay tuned for a lot of awesome food pictures, stories, and details as The Food Girl in Town goes abroad! I can’t wait to hear about your travels. Love your blog!